Mischief, mayhem, and belly laughs are the theme for Studio West Dance Theatre’s 2018 – 2019 season. 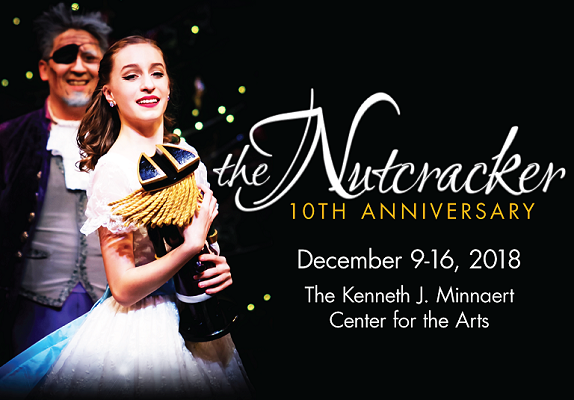 We begin with our 10th anniversary celebration of The Nutcracker, including a one night only performance of “The Nutty Nutcracker”, a retelling of this familiar family classic as it’s never been told before, and we end our season with ballet’s iconic romantic comedy Coppelia. Tickets are now on sale for the 11th Annual Dance to Make a Difference Charity Gala. Click on the link below to purchase tickets! Be swept away this holiday season with Studio West Dance Theatre’s fresh take on The Nutcracker. You will be delighted by professional sets and costumes, over 230+ performers, and traditional ballet blended with comical surprises certain to have you dancing in your seats. In honor of our 10th anniversary of The Nutcracker, Studio West presents a one night only performance of “The Nutty Nutcracker” on Thursday December 13th. Just when you think you know The Nutcracker like the back of your hand, we are changing it up with some super nutty twists and turns. We can’t give away much, but many unexpected surprises await you. We invite our younger patrons ages 3 and up to join us at Clara’s Nutcracker Party, beginning one hour before each matinee performance. Bring your child to make a holiday keepsake, delight in a reading of The Nutcracker story, visit and take pictures with characters from the ballet, and enjoy refreshments including special snowflake cupcakes. Purchase your party tickets along with your performance tickets. 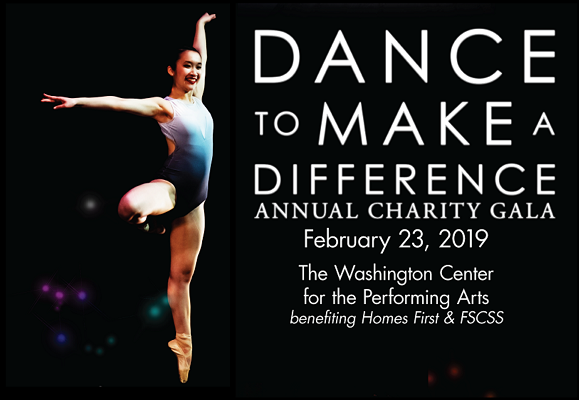 Join us for an evening of wine, dine, performance, and festive fun at the 11th annual Dance to Make a Difference charity gala. This year, all net proceeds will be donated to Homes First and Family Support Center of South Sound (FSCSS). Both of these 501(c)3 non-profit organizations provide support for homeless and low-income families in the South Sound community. The reception begins at 6:00 pm and includes a light dinner, wine, and live music. A silent auction will be held during the reception and intermission. At 8:00 pm, you are invited to the main-stage to enjoy a fantastic performance by dance companies from across the Puget Sound. 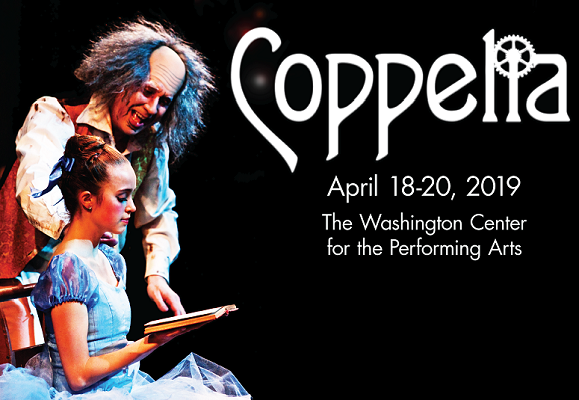 Studio West brings ballet and belly laughs to South Sound audiences with Coppelia, a romantic comedy of mischief and mistaken identities. A young woman, Swanhilda, notices her fiance Franz is infatuated with the beautiful Coppelia, who sits reading on her balcony in the house belonging to Dr. Coppelius, an eccentric inventor. Swanhilda and her mischievous friends decide to sneak into Dr. Coppelius’s home one day, and high jinks ensues.